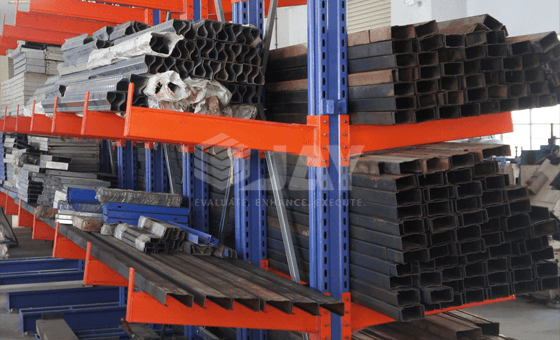 Cantilever Racking Systems are ideal solutions for storage of long, oversized goods or bulky items i.e. 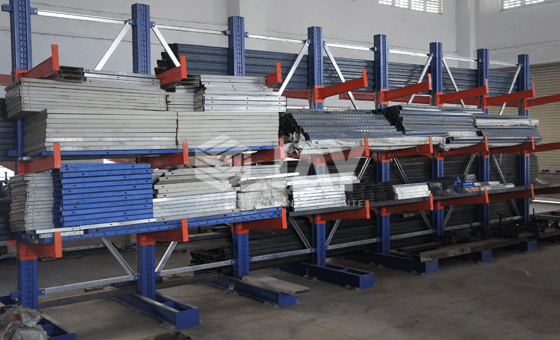 Long Product Storage. 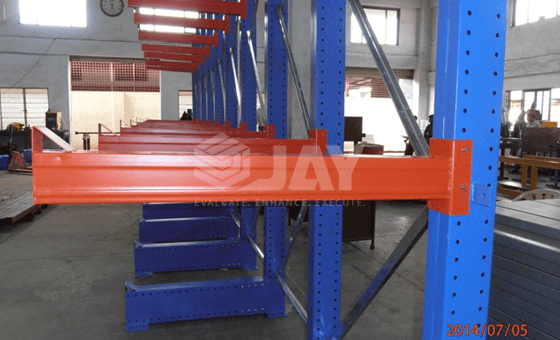 Cantilever racking is made up of vertical columns, cantilever arms, bracings & can also be provided with shelves for storage of uneven items or when the goods vary in dimensions or preventing the articles from falling over. 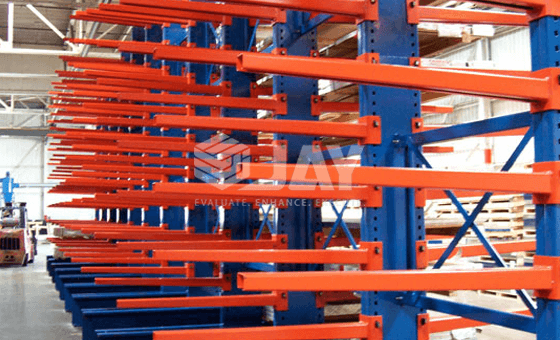 Cantilever racking can be manufactured for single or double-faced usage. 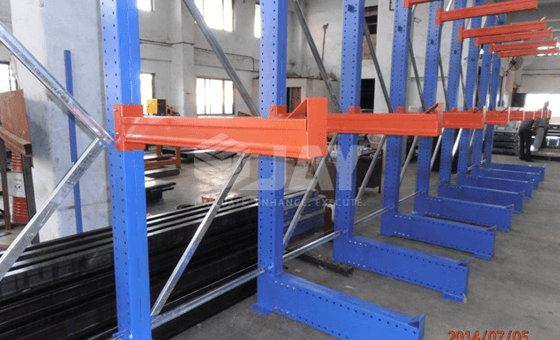 The arms are easily adjustable to accommodate articles of varying heights. 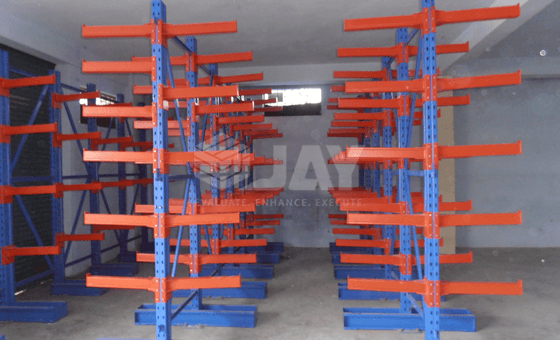 ‘Jay Storage Solutions’ offers varied accessories depending on the specific requirements. 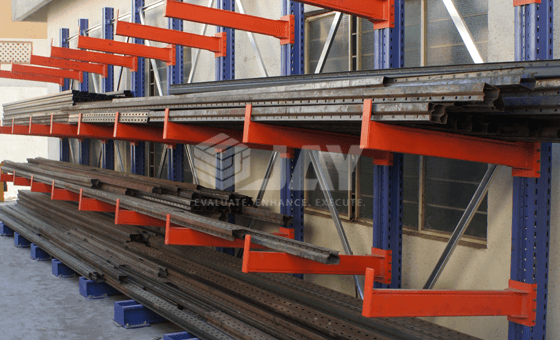 No limitation in the length of cantiléver system. 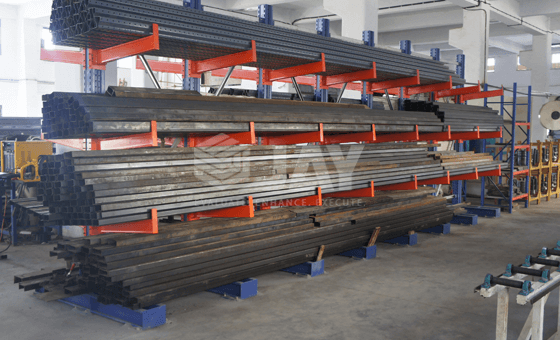 Provision for fixing pin, stoppers, & shelves.